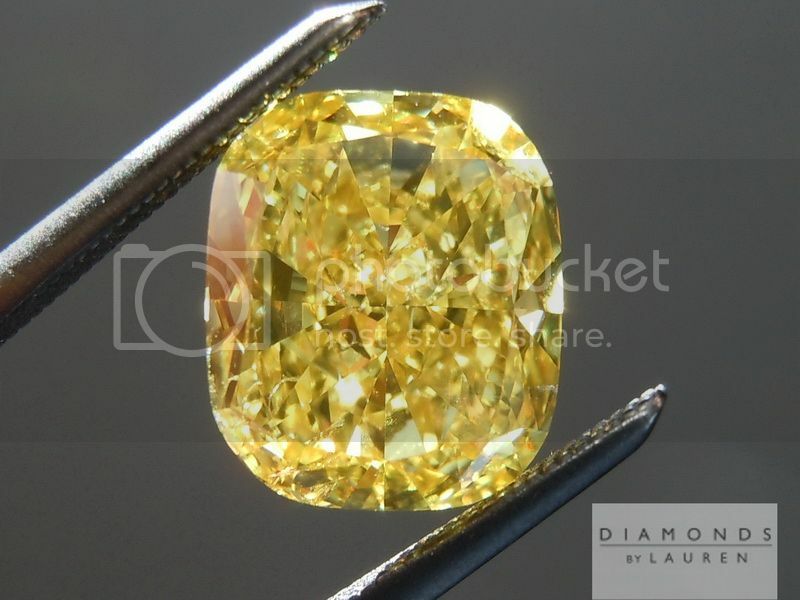 When it comes to yellow, the costliest grade is Fancy Vivid Yellow. 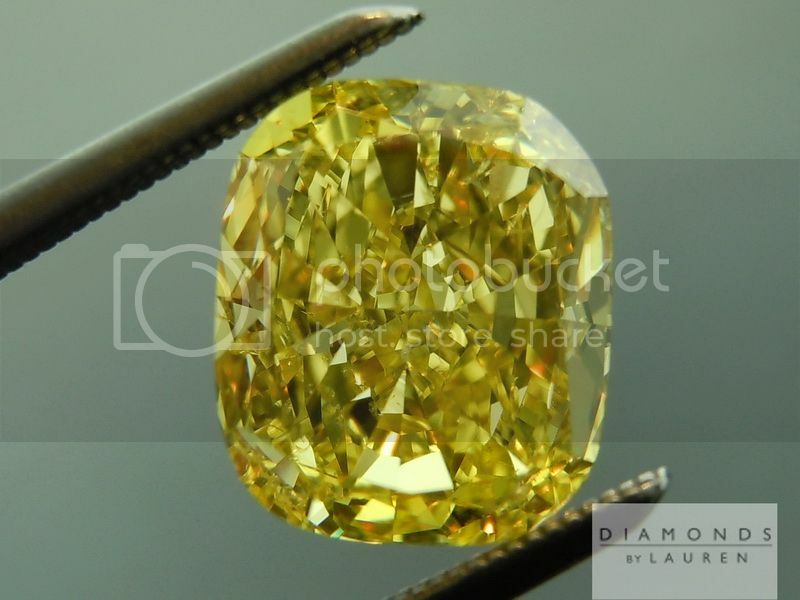 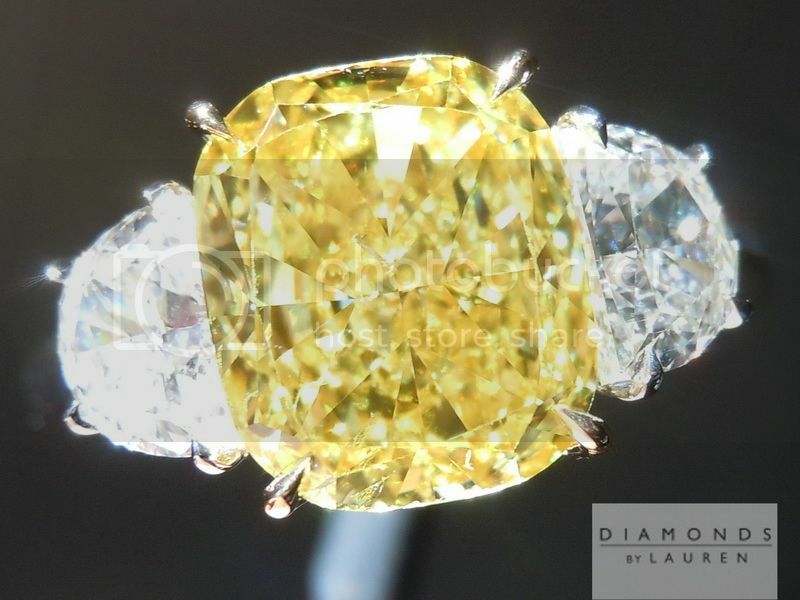 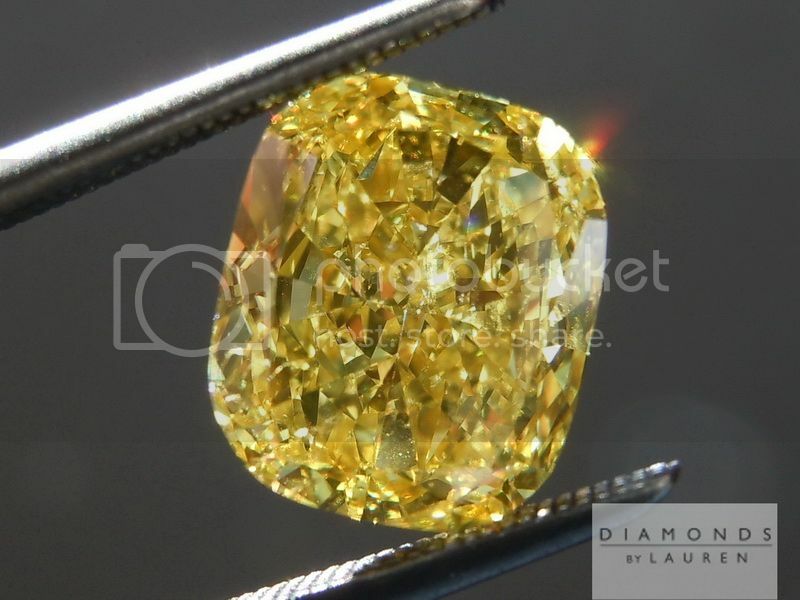 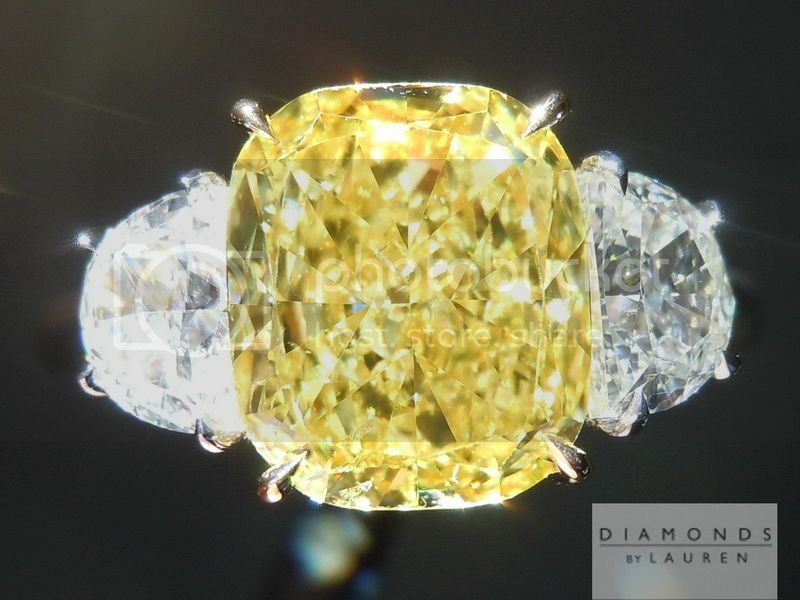 A GIA graded Fancy Vivid Yellow Round Diamond, Internally Flawless, is about 30-50% more valuable than a D Internally Flawless of the same carat weight. 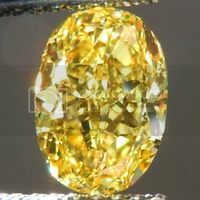 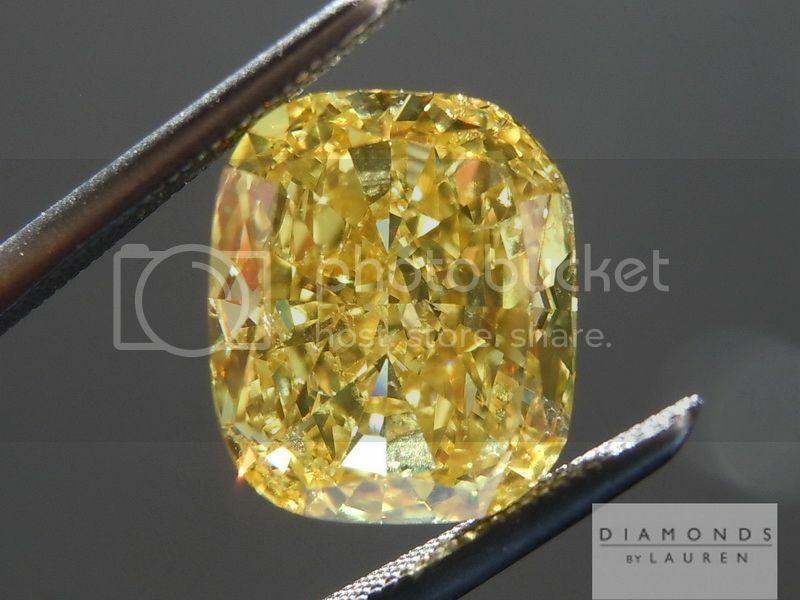 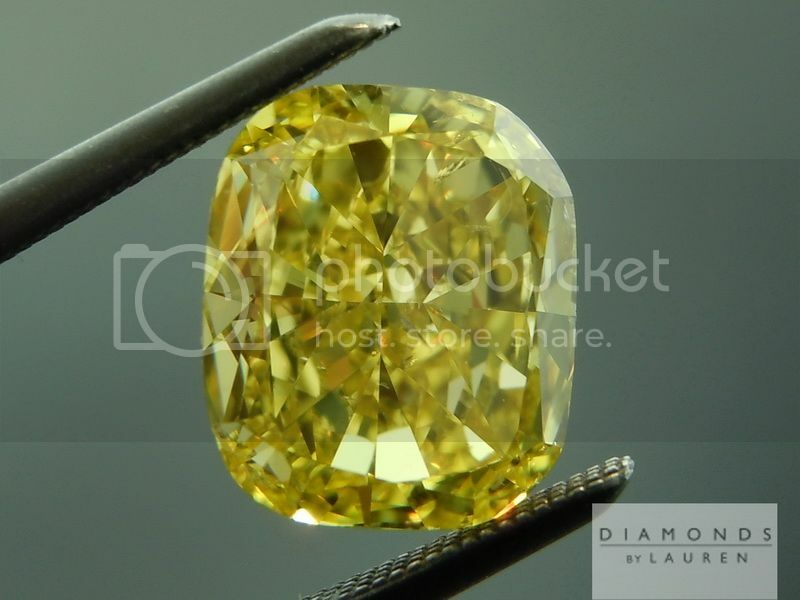 I did search of the world market from .50ct- 10.00ct Round Fancy Vivid Yellow Internally Flawless, and found one stone. 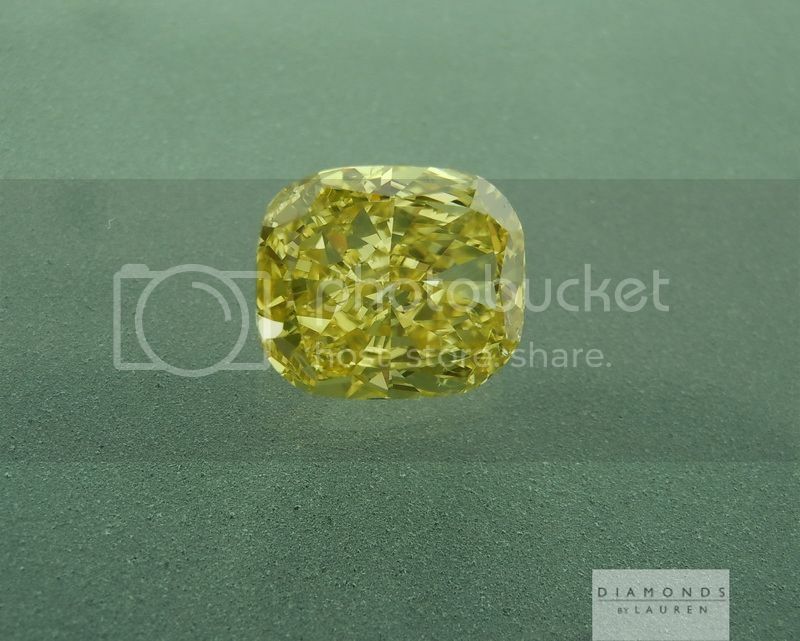 So, fancy vivid yellow diamonds are pretty rare. 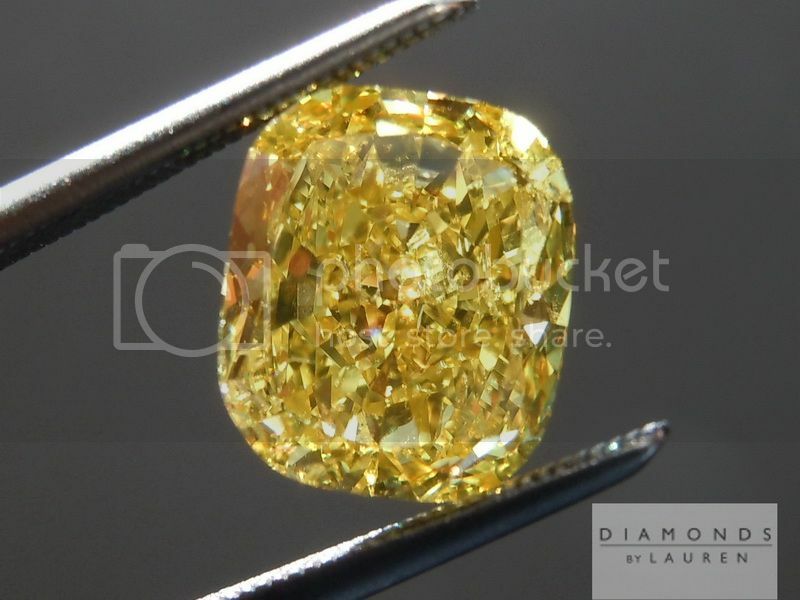 We got extrmely lucky finding this one. 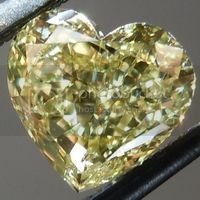 As an SI2, the price is about 30% less than a VS1- but this particualar SI2 is an eye clean SI2. 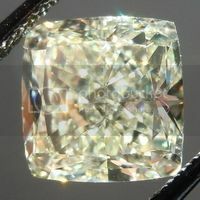 There is no black carbon- the imperfections that do exist simply blend in with no perceptable effect on the brilliance. 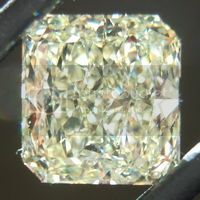 The color of this specimen is extremely pure. 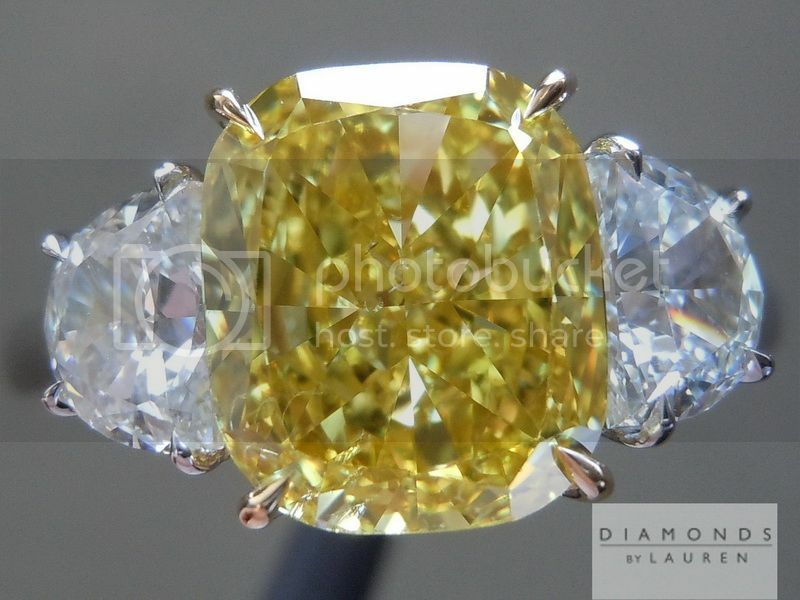 It looks like bit like an amazingly brilliant piece of candy in person. 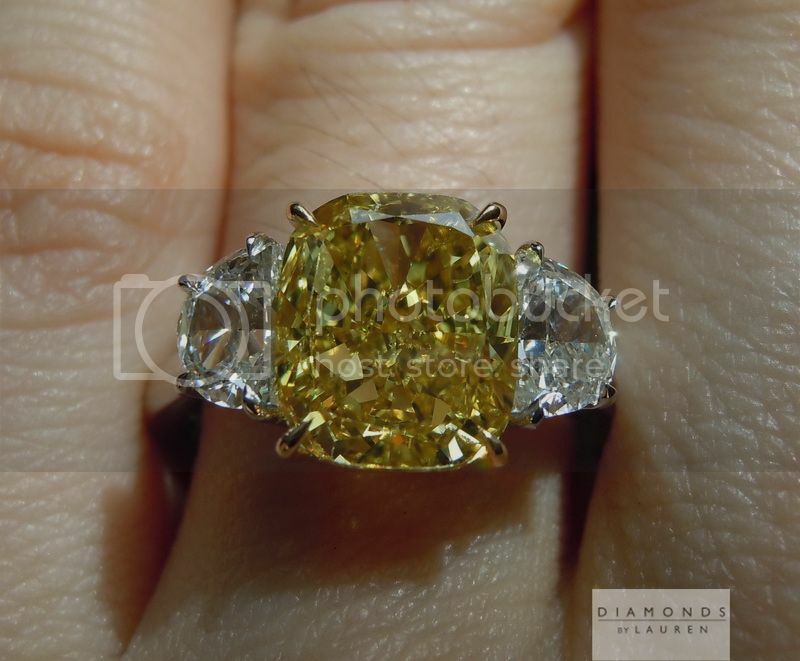 In terms of shape, it's a lovely rectangular stone. 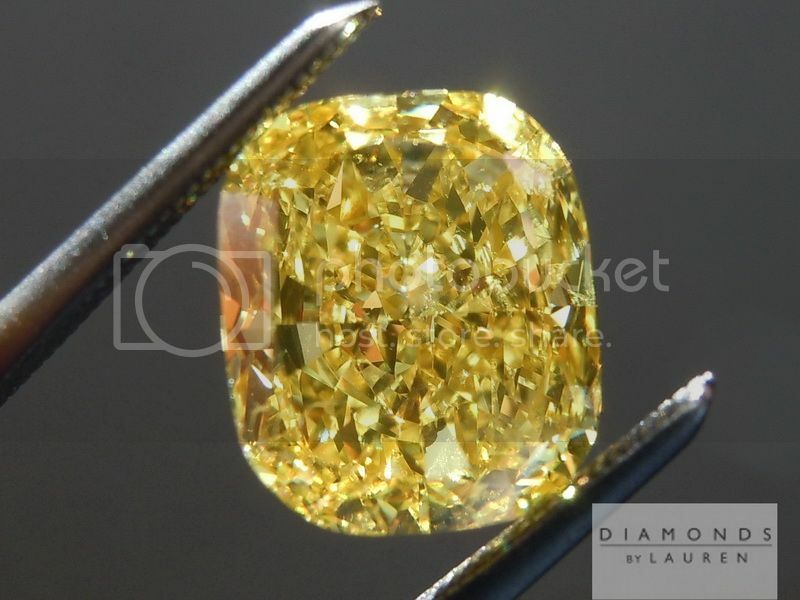 The cut produces a pervasive sparkle, from edge to edge. 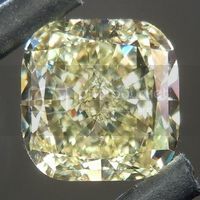 The cut is also great for size. 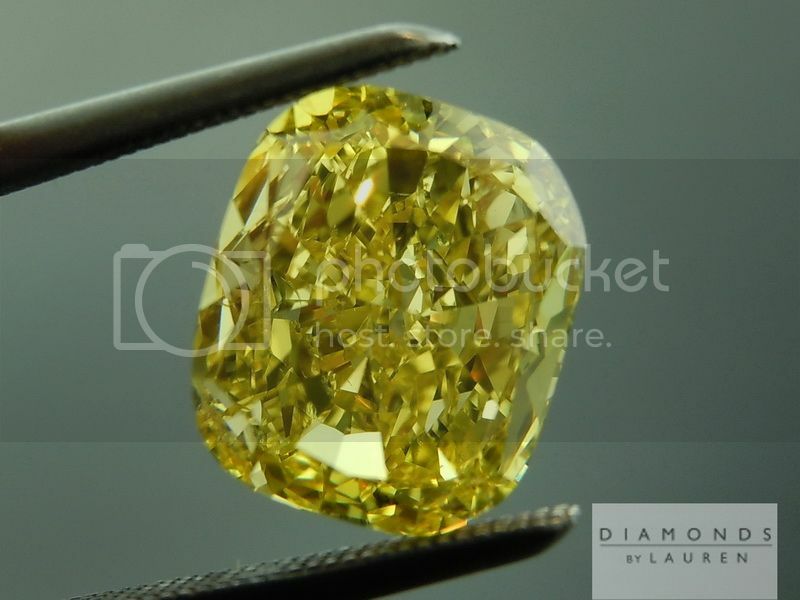 Based on the visual size, the stone could be four carats - it is huge for a 3ct. 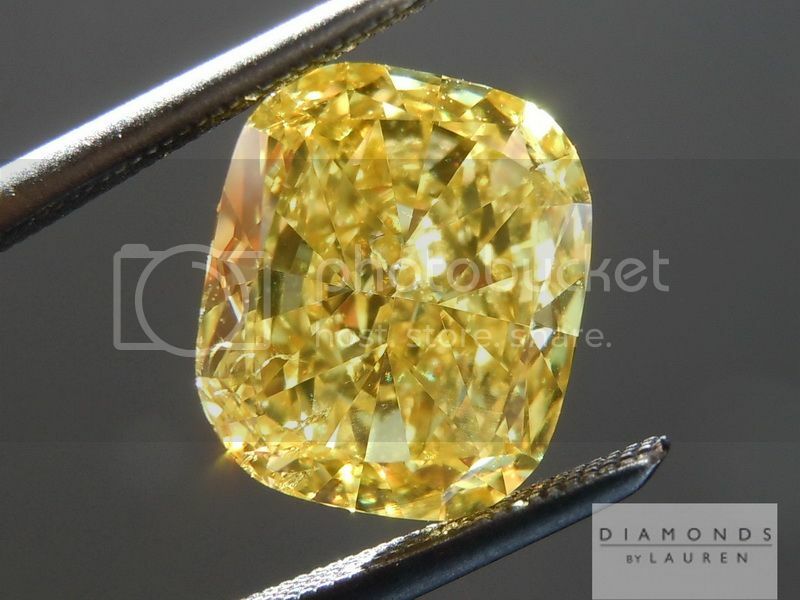 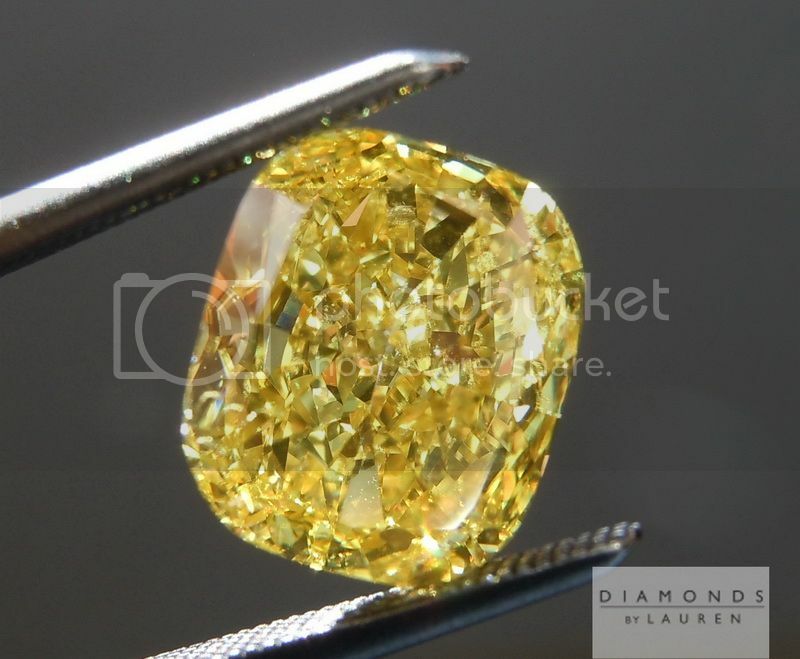 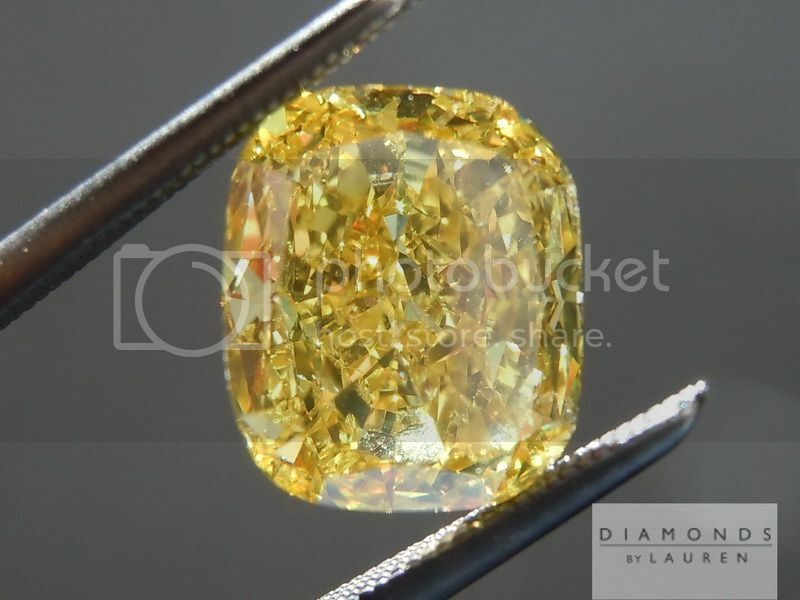 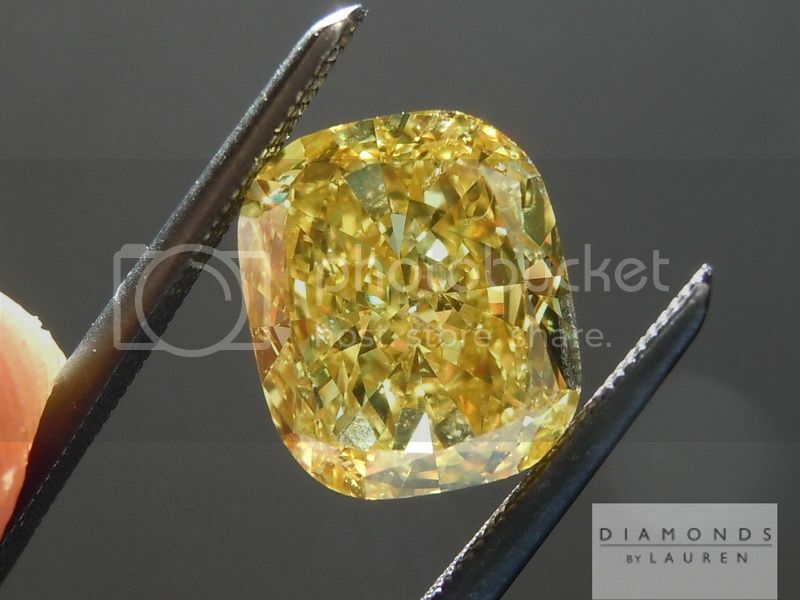 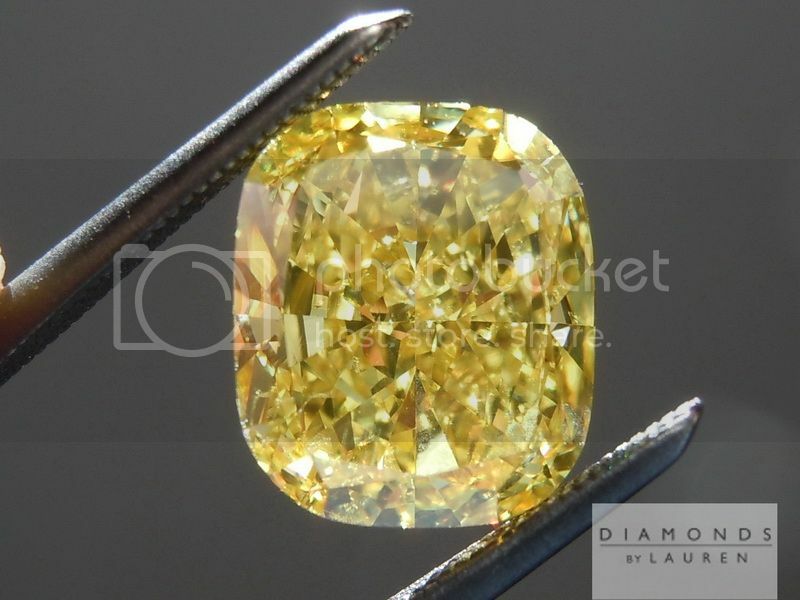 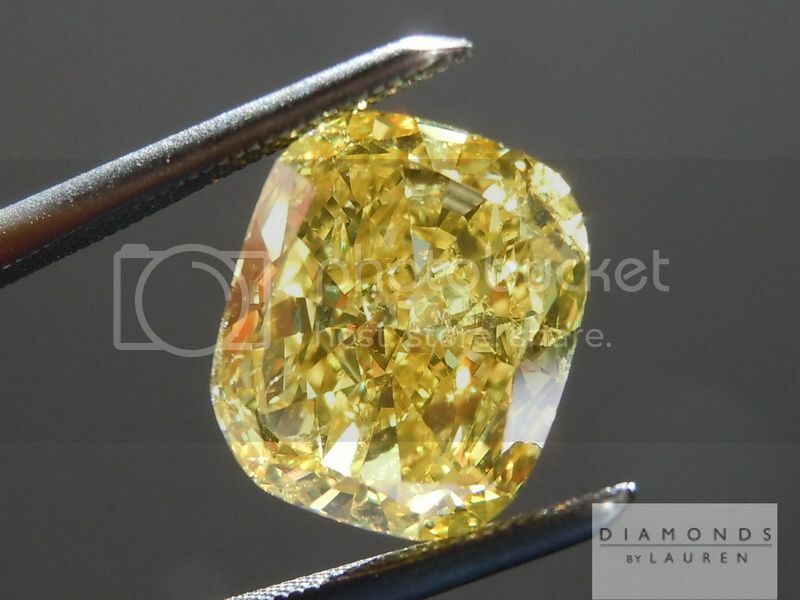 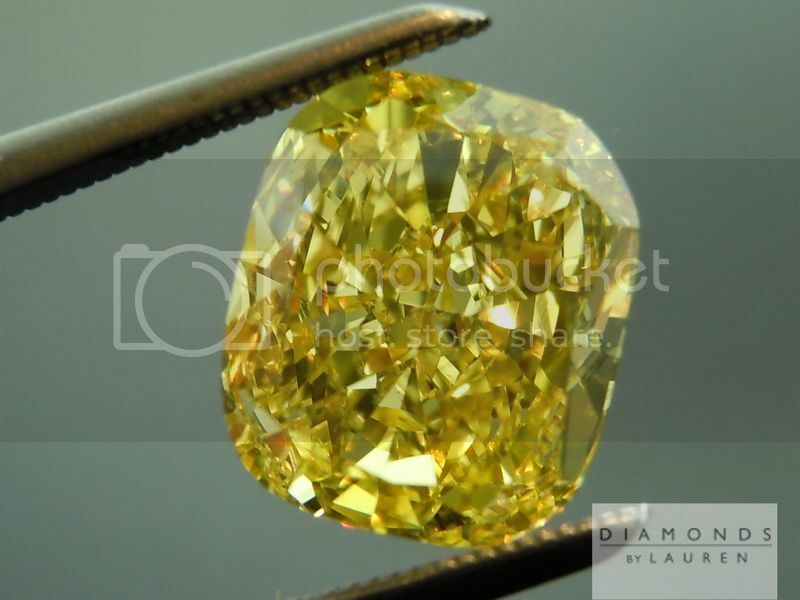 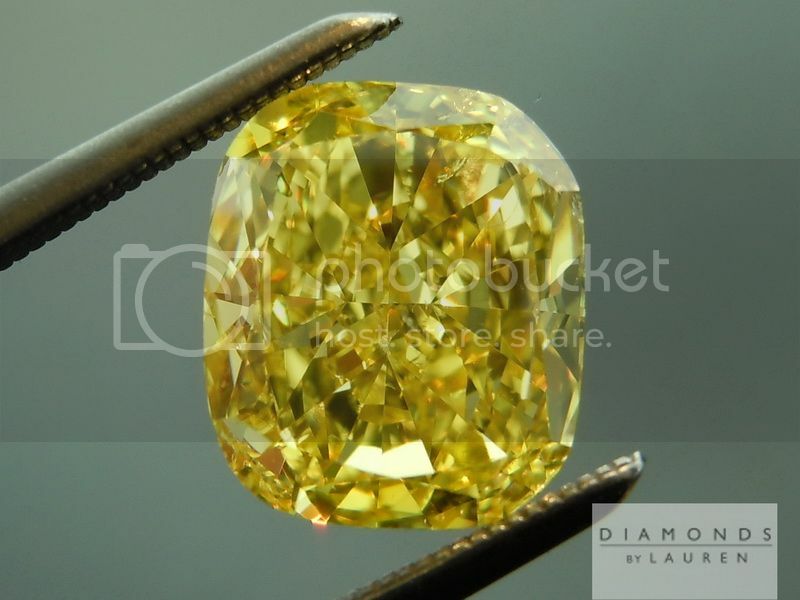 We took our time finding a really special pair of side diamonds for this rare Vivid Yellow specimen. 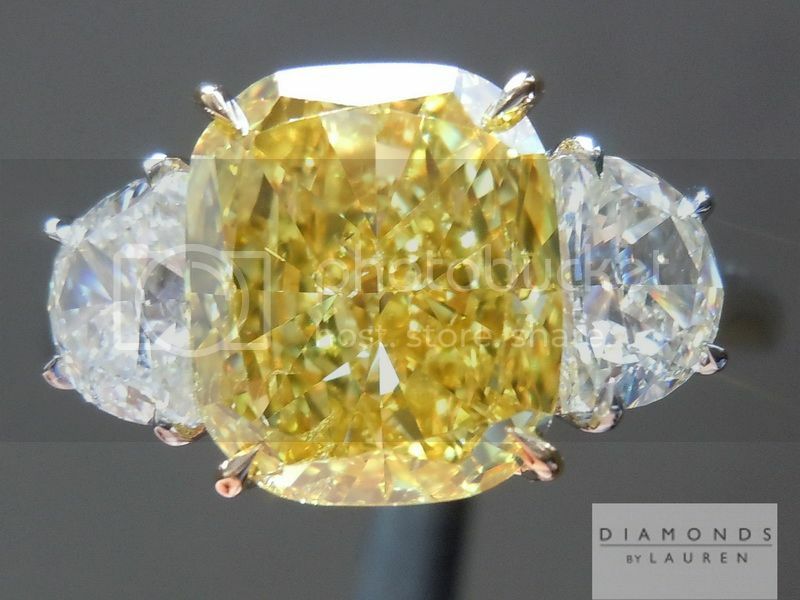 These are Brilliant Half Moon Diamonds. 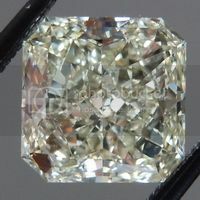 The stones are icy white and possess great brilliance. 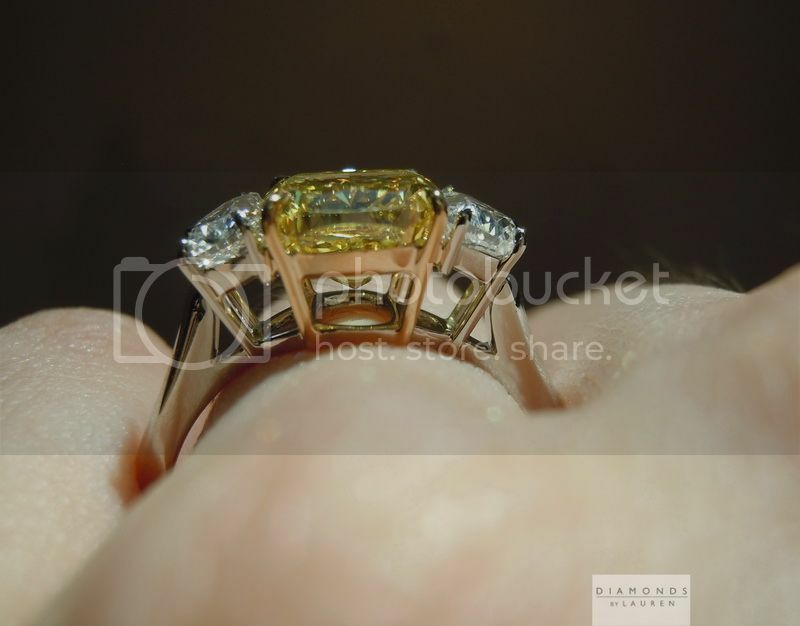 The setting is simplicity itself. 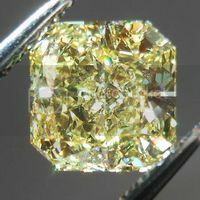 Nothing extra, but what is there is perfectly done. 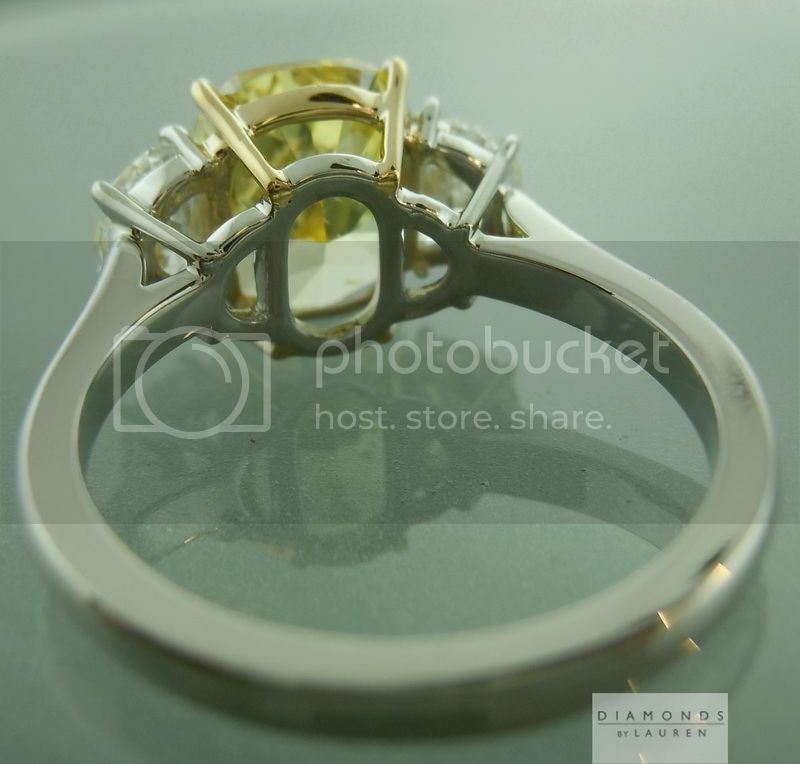 Sensuous claw prongs all around. 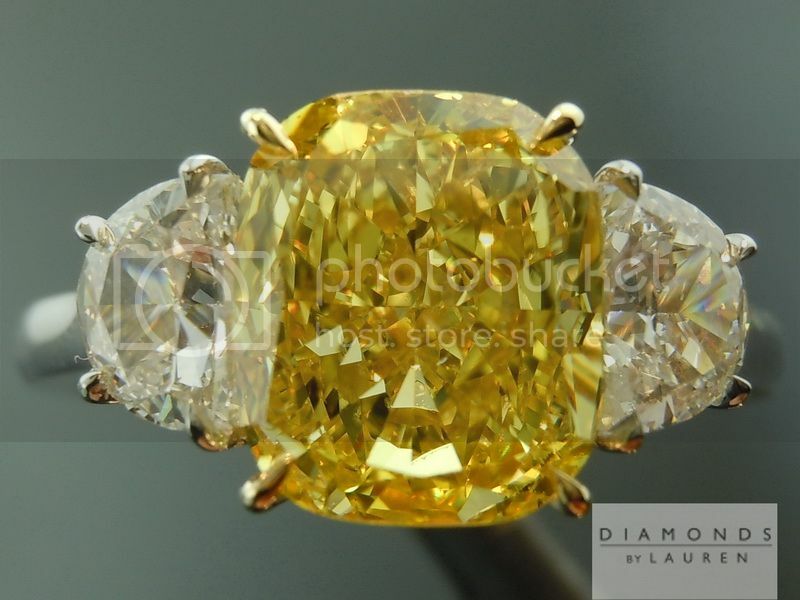 The contrast is striking - the ring isout of this world stunning - and not at all shy. 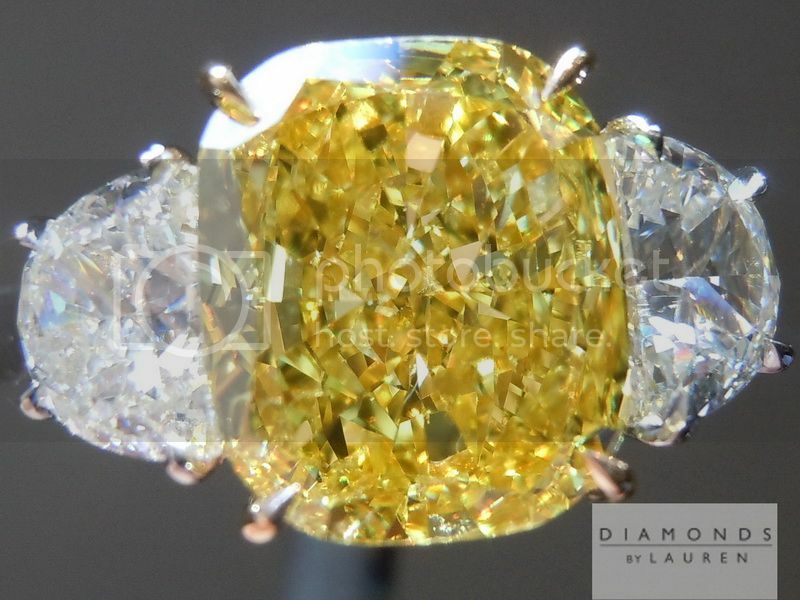 A substantial piece built for every day wear.